Frigid nighttime temperatures are giving way to warm, sunny weather this week, drawing skiers and snowboarders to Purgatory at Durango Mountain Resort. Despite good snowfall in December, snowpack remains below average as reported by the Natural Resources Conservation Service. Lack of snowfall in November worried some ski-oriented retailers and resort operators, but the timely dumps in December finally brought out the shoppers and skiers. Still, the lack of snow in November did affect ski rentals and purchases. Our December was better this year than last, Malara said. November was not as good as the previous year. There was a concentration of customers in December, he said. Normally, the big chain sees the ski-selling season start as early as October or November, Hoffman said. It didnt start until December this year. Unlike some Sports Authority locations, the Durango store rents ski equipment, Hoffman said. It was the rentals that were most affected by holiday traffic, he said, noting that the strongest periods were the week before and week after Christmas. However, customers buying holiday gifts were not affected by the snow issue as much, Hoffman said. The competition comes from base-of-the-mountain rentals. The question is how to get the people staying at Purgatory at Durango Mountain Resort and other areas to come off the mountain to rent. Hoffmans advantage is, because he just opened the store, all of the rental equipment is new. Other places would have used or a combination of new and used equipment. Malara of Ski Barn noted that the lack of snow in some areas means our skis are taking a beating on the slopes. He noted that many of his customers are locals who are taking advantage of Chapman Hill. Hesperus and Purgatory at Durango Mountain Resort are farther away and more expensive than Chapman, Malara said. Chapman has been making snow, weather permitting. 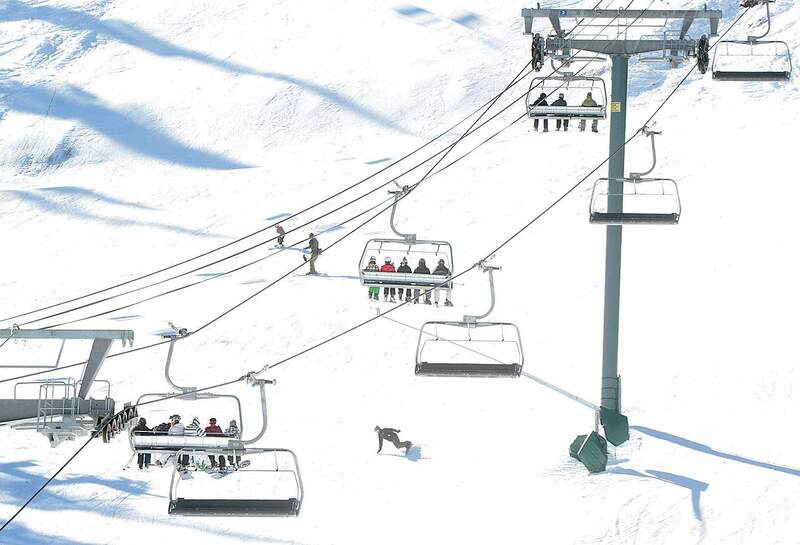 However, now that Hesperus has opened for night skiing, additional Ski Barn customers will head that way, Malara said. However, the lack of snow is likely to continue. The first chance of snow is Friday, with a little more the following Monday. But neither of these storms are considered significant, according to The Weather Channel. In fact, snowpack remains below average despite the December storms, according to the Natural Resources Conservation Service. The federal agency reported that the San Miguel, Dolores, Animas and San Juan watersheds are at about 70 percent of average snowpack, and 84 percent of last years levels. Worse yet are indications that the drought may continue. Reservoirs are currently at 66 percent of average and 62 percent of last years levels, Natural Resources Conservation Service said in a news release. Across the state, mountain precipitation was 122 percent of average for December, but because of extraordinarily dry conditions in October and November statewide, total water year-to-date precipitation remains below average, NRCS said in its release. Hopefully, the rest of the season will be strong.